Chesapeake Bay Foundation | Improving Water Quality Through Streamside Tree Buffers. Spring is the perfect time to plant trees. And establishing a streamside forested buffer will not only help protect water quality, it will attract wildlife by providing much-needed habitat. 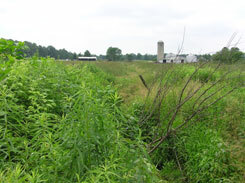 The Conservation Reserve Enhancement Program (CREP), a federally funded program, provides landowners and farmers with the resources to design and install these buffers. CREP also pays annual rental payments to the landowner. There are many benefits to forested buffers, including preventing pollutants from reaching streams, creating wildlife habitat, and improving water quality. Streamside trees also help reduce stormwater and flooding problems by slowing down and absorbing rainwater as it moves across the land. Buffers also provide recreational opportunities like wildlife and bird watching, and they improve property values. The Conservation Reserve Enhancement Program (CREP) is a voluntary conservation program which rewards producers and landowners for installing conservation practices on their land, and offers up to 100% cost share reimbursement for installation, annual rental payments, and cash incentives. For more detailed information visit the PA Game Commission website. Any producer or landowner can enroll in CREP, which is available for eligible marginal cropland, pastureland, and land along non-forested streams. Continuous enrollment in CREP is available for a limited time,so don’t wait until the last minute to take advantage of this opportunity to cash in on conservation! Protects Pennsylvania’s streams, lakes and wetlands. Provides wildlife habitat for biodiversity. 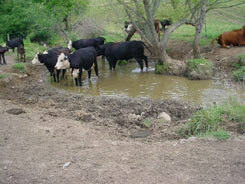 Covers the cost of streambank fencing, stream crossings, and stock tanks. Pays for planting native trees, shrubs and grasses. Protects animals from diseases that can be transmitted by waterborne bacteria, such as mastitis, Johne’s disease, BVD and foot rot. Saves you time and earns you money. Soil Rental Rate (SRR) – Calculated cash payment dependent upon soil type. Erodibility Index (EI) – Calculation based on soil type and slope. Highly Erodible Land (HEL) – Land susceptible to erosion (usually found on steep slopes, but depends on soil type and vegetative cover). 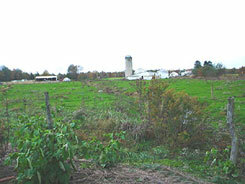 Marginal Pastureland – Land near a stream or water body not currently covered with trees or woody growth. 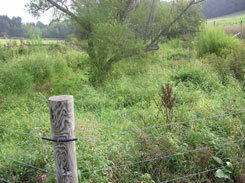 Riparian Zone – Land adjacent to stream channels and other waterways. Riparian Buffer – Strips of trees, shrubs and/or grasses along the edges of waterways that stabilize banks and filter runoff. Wetland – An area that frequently is inundated by surface and/or groundwater, providing a unique habitat for wildlife, improving water quality and protecting against floods. A wetland is different than a pond. Shallow Water Area – A source of water with an average depth of 6 – 18 inches which provides wildlife habitat. Native Grasses – Warm and cool season grasses naturally occur in western PA. Warm season grasses include indiangrass, big bluestem, and switchgrass. Cool season grasses include orchardgrass, timothy and perennial ryegrasss. A variety of wildlife depends on grassland habitats and adjacent riparian areas year-round. Birds use the many layers of vegetation cover (trees, shrubs, and grasses) and plentiful plant species found in these habitats for food and cover. During the breeding season, many ground-nesting bird and mammal species build nests in the vegetation and use the cover to raise and protect their young. In the winter, seeds are foraged and dead vegetation creates pockets where ground-dwelling birds can take shelter. Butterflies, and other enjoyable insects, feed on the flowers that grow in the grassland. Unlike the specific vegetation of riparian corridors, wetlands, and grasslands, the wildlife that depend on these areas commonly travel between them for both food and shelter. Food Prices Driven Up by Global Warming, Study Shows | Common Dreams. Global warming has already harmed the world’s food production and has driven up food prices by as much as 20% over recent decades, new research has revealed. An Indian farmer displays wheat after harvest on the outskirts of Jammu, India, Thursday, May 5, 2011. Global warming has already harmed the world’s food production and has driven up food prices by as much as 20% over recent decades, new research has revealed. (AP Photo/Channi Anand) The drop in the productivity of crop plants around the world was not caused by changes in rainfall but was because higher temperatures can cause dehydration, prevent pollination and lead to slowed photosynthesis. Global food prices have risen by about 200% in recent years, says Schlenker. 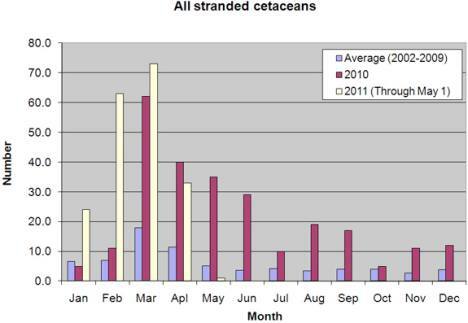 Other causes of the rise are the increased demand for meat and the diversion of food into biofuels. Nonetheless, the researchers conclude that the negative impact on crops overall is “likely to be incurring large economic and health costs”.